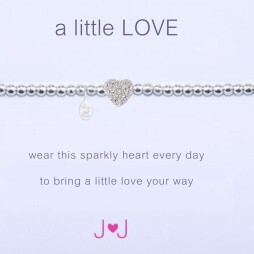 Give someone special on their 40th birthday this beautiful Joma Jewellery a little Happy 40th Silver Bracelet. 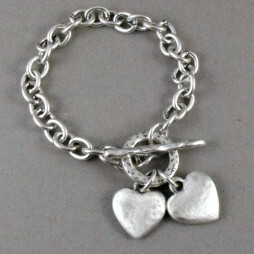 Detailed with the most beautiful open heart, adorned with tiny crystals, on a silver plated beaded bracelet. 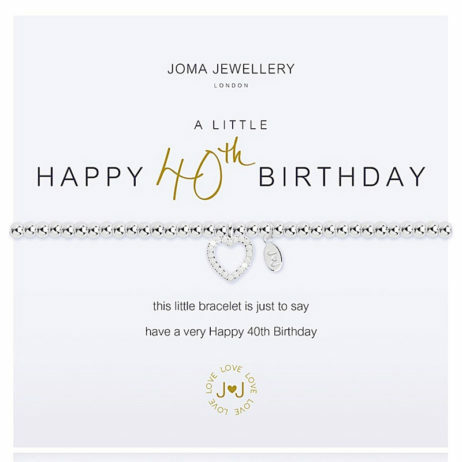 Presented on an official Joma card which reads ‘a little HAPPY 40th BIRTHDAY this little bracelet is just to say have a very Happy 40th Birthday’. 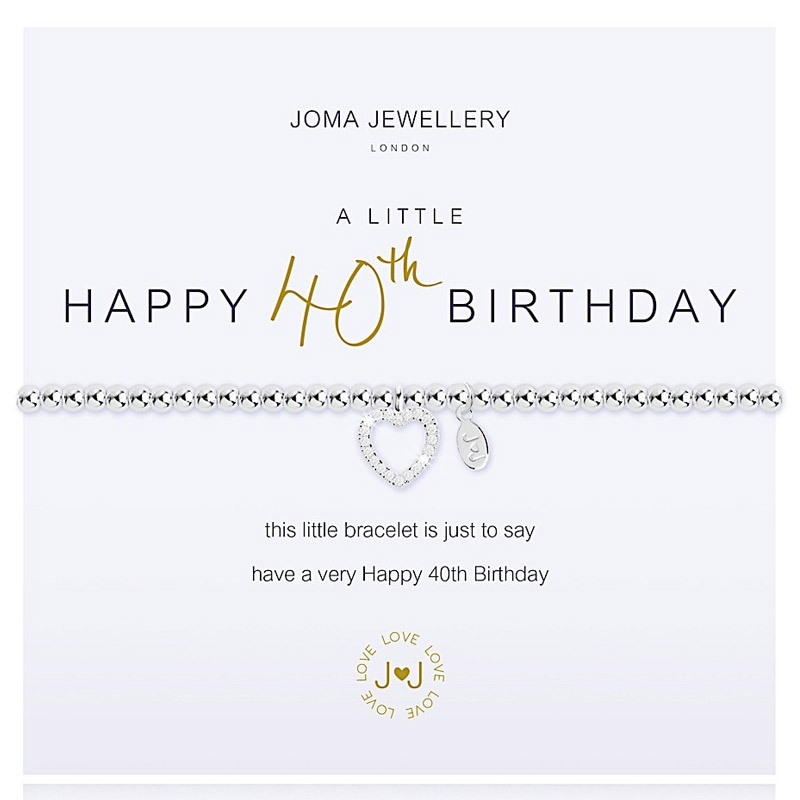 Joma Jewellery a little Happy 40th Birthday Silver Bracelet – A milestone birthday sentiment from Joma Jewellery’s beautiful bracelet range. 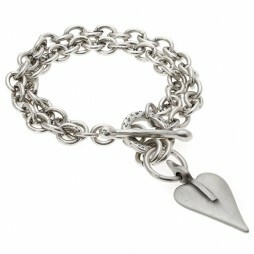 Joma was established in 2008, to create and celebrate beautiful gift jewellery. Joma still have the very same perspective now that they had then, and from their very first capsule collection they have grown Joma Jewellery into a world wide much loved brand name. Jewellery is exceptionally unique and always holds valuable memories and moments that are totally distinct and individual. The magic that each piece can hold for you, drives them to produce beautiful new pieces every season, for every moment. Bracelet arrived very quick, great packaging with card to write on too 😊 will definitely be ordering again! Perfect pressie, beautifully wrapped with a little gift card and message. Very quick delivery, i would definitely order again. 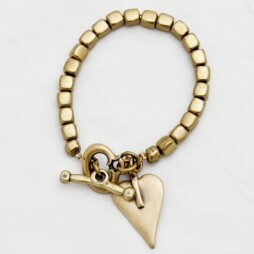 Birthday Gifts, Gifts By Occasion, Joma Jewellery a little, Joma Jewellery New Collection, Milestone Birthday Gifts, Gift Ideas, Gifts £0 To £20, Jewellery, Bead Bracelets, Bracelets, Charm Bracelets, Heart Bracelets, Silver Bracelets, Joma Jewellery.